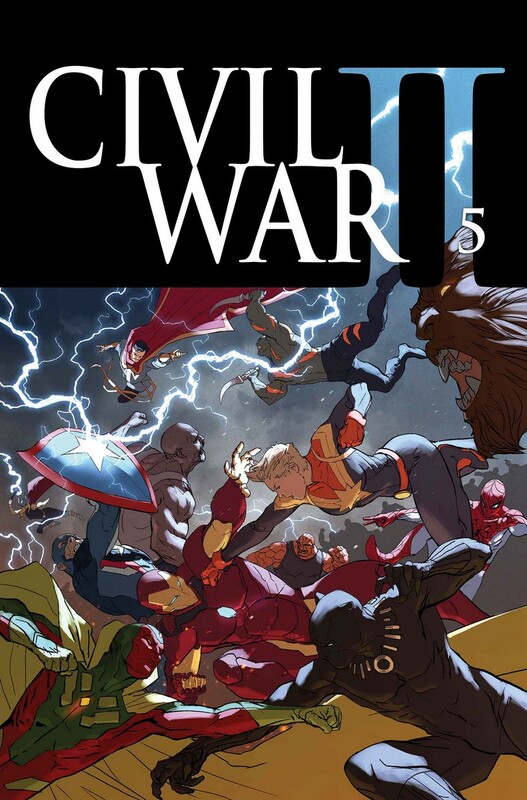 On Newsarama last week, executive editor Tom Brevoort talked about how Marvel was largely switching to a storytelling format more akin to seasons on television. Rather than having ongoing stories, he referred to a model in which they're essentially starting over every year. 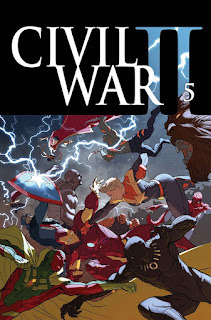 Brevoort noted, "One of the things a big event story is judged on, rightly or wrongly, is what kind of an impact it has on the Marvel Universe in its aftermath. That just becomes a condition of these big event stories: what is it at the end that changes the landscape?" I don't have all the sales numbers he has access to, obviously, but I trust that much of what he says in that piece comes directly out of those numbers. Over the past, I don't know, probably at least ten years now, Marvel has seen the event-driven storylines with universe-shaking consequences are the ones that drive the most sales for them. The quiet interludes and character pieces simply don't perform as well as they used to. "We’ve seen it time and time again that the stuff that sells the best, that people aggregate onto, is stuff that’s just starting." So they're restarting things pretty much annually any more. I trust that that's working for them; they wouldn't keep doing it otherwise. But for as much as I like and respect Brevoort (he was even kind enough to write the foreword to my first book!) I do feel the need to point out something of a problem in some of his statements. I’m convinced – utterly convinced – that virtually every comic book reader cannot afford to buy all the comics they’d like to be buying and reading. There are too many good books out there, across all publishers. The average fan just can’t afford everything. What that means is, readers are far more cutthroat these days than they might have been back in the day, in terms of axing any particular title from their pull list, if only because there are so many other delicious looking pieces of candy on the shelf that they might want to sample. I completely agree with him here. There's just a wealth of fantastic stuff out there now. And even if you could afford everything you wanted to, you probably don't have time to read it! I don't know about you, but my backlog of reading material is HUUUUUGE! What I find interesting here, though, is that Brevoort is seemingly acknowledging that other folks besides Marvel are doing great work. He didn't single anyone out, so I think it's reasonably to assume he's talking broadly across the board. That's fair. I'm with him so far. There’s not a lot of patience for downtime issues, or a slow build anymore. You can have your great master plan where you slowly set your dominos and then in year two, you’re gonna wow everybody, but your book is gonna be dead in six issues, well before you get to that. People just don’t have the patience to wait a year and a half to get to the good stuff. You have to get to the good stuff immediately. And you have to all be good stuff. Every issue has to be giving readers what they want, or they start to move onto other stories." The problem I have with this is that it really only holds under their specific model: selling monthly pamphlets to comic shops through the direct market. Look at Sccholastic. They started publishing Kazu Kibuishi's Amulet series in 2008. There's still two more books left in the series, which I'm guessing won't wrap up until 2018 at the earliest. That's ten years readers will have been waiting to see the story resolved. Kids who started reading it in fourth grade will be at least half-way through college before it's complete. Same thing with Raina Telgemeier's The Baby-Sitters Club books that started in 2006. And her books are based off Ann M. Martin's originals! People could totally find out what happens next by switching to the prose novels, but they're often sitting around waiting for Telgemeier's versions. Or webcomics! How many webcomics do you know that have only one or two pages a week for years on end! Girl Genius, Scary Go Round/Bad Machinery, Dumbing of Age, Least I Could Do... Cripes, how many webcomics have you seen go on complete hiatus for a year or longer? Sure, they lose readers in the interim, but the ones they get most of their income from sit around and wait. Or manga! Naruto started in 2003 and ended 72 volumes later in 2015. One Piece also started in 2003 and, 81 volumes later, is still going! Bleach -- began in 2002, the 67th volume is due out in July. So my issue with Brevoort's statement is that it might be accurate, but only for monthly pamphlet comics being sold through the direct market. I've seen plenty of times when the direct market is considered synonymous with the comics industry as a whole, but that simply is not even remotely the case anymore. Given that this distinction continues to be blurred, it's worth repeating here again that the direct market is part of a decreasing fraction of comic sales overall.